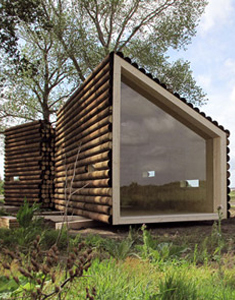 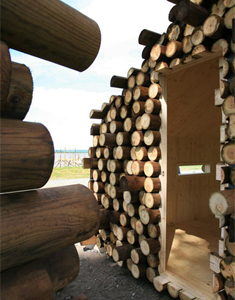 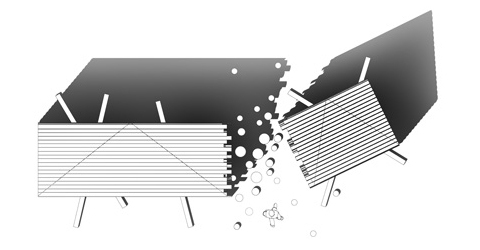 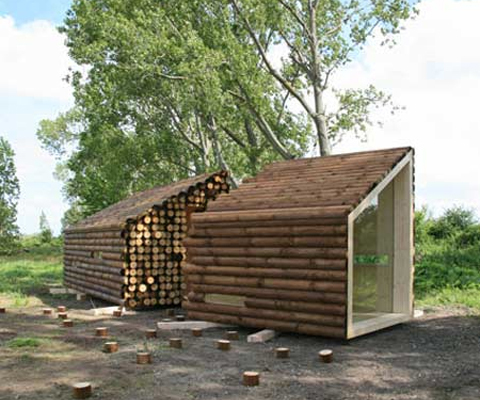 Flake House is a two-piece, transportable log cabin designed by French architects OLGGA , that will be exhibited at the Festival Estuaire 2009 in Nantes, France. 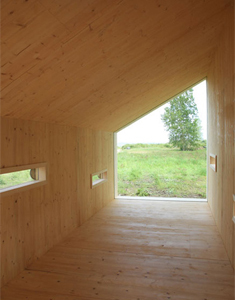 The house, a nomadic, road-gauged dwelling, has been conceived to clad the places wherever it lands, as to transpose them in an unusual vision. 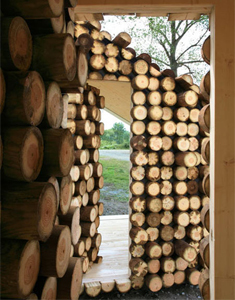 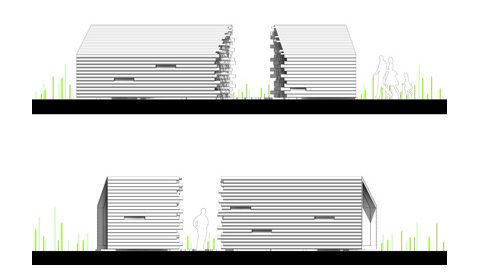 The interior finish is smooth and stripped down as to contrast with the traditional look of the external log cladding.